(20 Jan 2016-Hong Kong) Rent-a-Suitcase announces the launch of a brand new travel equipment sharing program today, on top of that all orders with rental over HKD$700 are entitled to free roundtrip shipping service. Solving customers’ storage and transportation problems of suitcases and other travel equipment at the same time, Rent-a-Suitcase aims to bring customers a whole new hassle-free way to travel. Hong Kong ranked Asia’s top city in lacking of space, with highest penetration and occupancy rate of self-storage industry, also the highest price to rent self-storage spaces amongst three major cities in Asia according to Self Storage Association Asia (SSAA) Annual Survey by Ipsos Business Consulting in 2015. Travel equipment such as suitcases remain idled most of the time while occupying storage spaces; therefore suitcases are regarded as the most “useless” item at home by many. 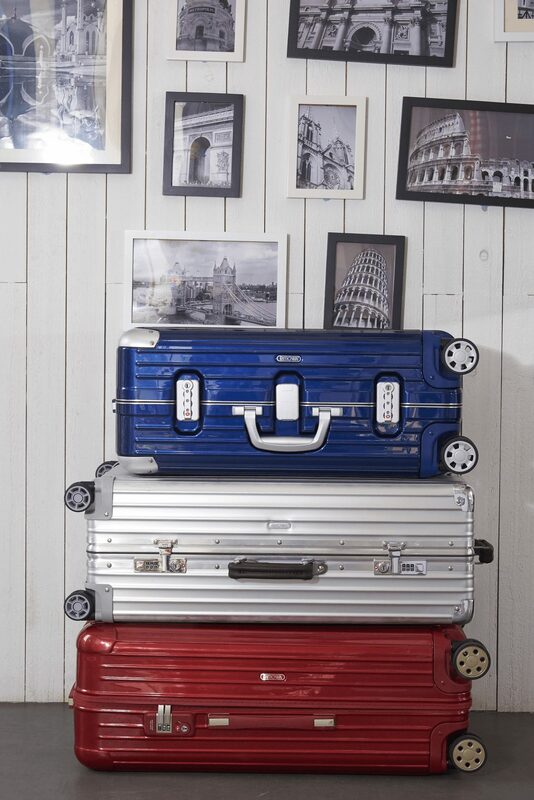 In hopes of alleviating space problems in Hong Kong, Rent-a-Suitcase launches a travel equipment sharing program, so customers will be able to store their idled travel equipment in our facilities, and the equipment will then be shared with other outbound travelers. Moreover, the item owners may have the option to donate a portion of the rental of the sharing item to our partnered charities. The program establishes a sustainable travel equipment sharing community to a more efficient use of resources, and the continuous rental income generated by the shared items may also be donated to our partner charities at the same time, killing multiple birds in one stone. Customers who are interested in participating our sharing program can simply complete an application form on our website, and our staff will then be in contact for arrangements of delivering the qualified items to Rent-a-Suitcase’s facility. The shared items will be listed on our platform and other customers will be able to browse and rent them. A portion of rental will split to the sharers, and sharers may choose to donate a portion of their split to our partnered charity. Rent-a-Suitcase is currently partnering with Seeds of Art Charity Foundation. Donations will help funding education for students in Mainland rural areas. To offer customers a more enjoyable experience prior to departure, all orders with over HKD$700 rental can enjoy free roundtrip shipping for their rental items. Rent-a-Suitcase understand extensive preparations are needed prior to the trip, and suitcases are not easy to carry on public transportation. All reserved items on qualified orders will be delivered to customers’ doorstep one day before their departure and get picked up one day after their return. Rent-a-Suitcase, provides travel supplies rental service to busy “urbaners”, embodied the cost-saving, environmentally-friendly and, most importantly, space-saving way of travelling. As space has become tremendously costly in metropolitans, especially in Hong Kong, storing a large suitcase at home that would only be used for once or twice a year has become a burden for many families. With Rent-a-Suitcase, travelers can simply reserve for their travel supplies, pick up when they needed, and even customize different gears for every destination. Press Releases are submitted to Jumpstart Magazine and we do not take responsibility for their content or accuracy.